Buy SIM900A RS232 GSM Modem Online at LOW PRICE in India. 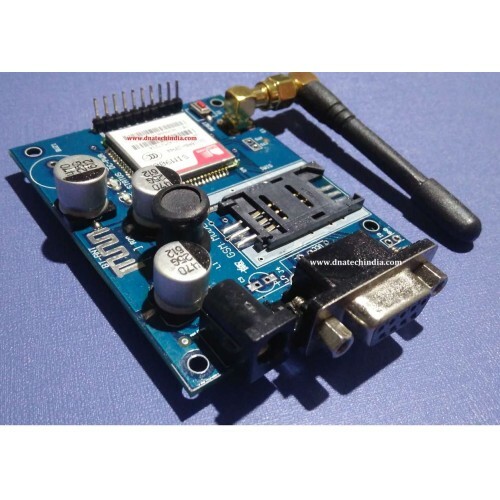 This is a low cost SIM900A GSM Modem with RS232 output. It works on 12Volt AC as well as DC Supply. It is a Quad Band GSM/GPRS engine and works on frequencies 850/ 900/ 1800/ 1900 MHz. The modem has RS232 output so you can directly connect to PC's com port or to any micro-controller via MAX232 IC. You can communicate with this modem using AT Commands. It also has provision for TTL output so you also connect it directly to your micro-controller via serial port.